For the Excellent Gaming Build build we selected the Intel i5-7600k as our processor. If you're not building a workstation or professional machine, this is the de facto standard for overclockable gaming builds at the moment. To cool the i5-6600k while overclocking we selected the be quiet! Dark Rock 3. The Dark Rock 3 is an excellent choice for our build aesthetically and will keep the temperature of the CPU cool while overclocking. All of our components are housed in the Phanteks ECLIPSE P400. This case has a gorgeous black or white finish depending on your selection, a large side panel window, room for enthusiast CPU coolers, watercooling radiators, and front panel USB3.0. For our power supply, we're using a parametric selection of well-reviewed fully and semi-modular units, all of which are 80+ Gold certified and provide more than enough power for this system while at stock clocks or overclocking. I'd say go with a cheaper cooler - Sure, the water cooler will perform better(probably), but it's also quite a bit more expensive. I'd say a Cryorig H7 or Scythe Fuma would work well, but this choice isn't inherently bad. Using the parametric filters this build will incorporate an SSD with at least 480GB of space and a minimum 3TB of mechanical storage at 7200rpm. I'd change this to a single 960 GB SSD, or at least a 750 GB MX300 SSD. Cost more money, sure, and your current decision isn't bad, so it's fine to me. Ok, here's my biggest complaint. All of your PSU's are 550W. Now, I don't know if this was to stay on budget or what, but on the motherboard part you said how all the motherboards are capable of SLI/CrossFire... In which case if that's one of the things you want your motherboard to have then get a PSU capable of SLI/CrossFire power wise! 550W is just not enough, I'd say increase it by at least 200W(750 total wattage capable), which will be just $40 for a G2 750W. I'd also do some personal changes, like faster ram and a different case, but more personal to me than the rest. Tests I've seen have shown OC'd X99 systems with 2 way SLI 1070s pulling under 500W from the wall. Not peak efficiency but if you've got a good 80+ Gold you'll be fine. I've have seen gtx1070 SLI working under 500W to but in IDLE, if you're a heavy user you need minimaly 600W-650W-700W for a stable performance when you starts to OC's the grafics and CPU. Obviously if you're building a new system for that kind of setup, you should definitely not buy a 500W PSU and should go for at least 650, but if you only have a 500W and it's a high quality unit, you don't have to stress out about upgrading it immediately if you want to do 1070 SLI. What case did you pick? I was so torn over that, ended up going for the mini fridge Corsair Air 740... but I had a ton of others that were also tempting. At one point the InWin 303 was so tempting, because of it's inverted build... but I think that was beyond my particular skills of building, even though it's a gorgeous case. Skylake can't even utilize more than 2400 so going higher is pointless. pretty sure you can enable XMP in the uefi/bios to get higher memory speeds. I'm not sure if you NEED a z-series motherboard, but a z-series board can definitely handle it no problem. I have 3000mhz DDR4 running with skylake 6700k right now. Whether the extra speed has a noticeable impact on performance is a different topic. Yes I learned that the hard way, my motherboard (an Asus Z170-A) lowered the RAM to a 2133 clock speed. I'm planning on making this build and was reading your suggestions and they sounded great. I'm trying to spend an overall of $1,500.00 including a monitor. I made all the changes you suggested and it comes up to $1,300 flat. Any suggestions on a Monitor that'll fit my budget? Or any other suggestions to improve my build and still stay within the budget including the PC? Thanks for reading this! Well, I wish that monitor wise there were two choices I could recommend, one being a 1080p 144hz and one a 1440p 60hz monitor, but the 1440p is too expensive, so instead I'll recommend two 144hz 1080p monitors, the cheapest on pcpartpicker - Both are from the same company, coincidentally. There aren't much differences between the two, one is Freesync which is useless with the 1070, so wouldn't matter, and they have slightly different display ports, but should overall be pretty much the same, except for stands. The cheaper one has some red on the stand of it, while the other one appears to have an orange, copperish color? Hard to tell with pictures. Also stands are different. Overall I'd get the cheaper one, and either save $20 extra or spend $20 on something. Thanks for the quick response! In regards to the PC build itself you made a comment on faster RAM, care to comment further? I'll likely get the 144 hz monitor at 179.99 so I'll have a little bit of wiggle room to improve the ram and stay within my $1500 budget. In regards to the PC build itself you made a comment on faster RAM, care to comment further? Really, it's just that faster ram is a bit faster(not too much really), and for $100, which is about $20-30 more then the 2400 speed ram here, you can get a 3000 speed one. It shouldn't effect a great deal but it will effect a bit at the least. Get the cheapest 2400MHz or faster RAM you can find that fits your aesthetic. You will literally never notice the difference in speed from 2400MHz to 3200MHz. Latency is actually far more important than speed anyways. If you're not sure about latency vs. speed do some research on what makes some memory "faster" than others. Both of his monitor recommendations look decent but you will want to research the difference between 1080p vs 1440p and decide which is right for you. For me, I would rather have 1440p at 60Hz than 1080 at 144 mostly because I prefer larger screen sizes to higher refresh rates. To me, the price of 144Hz refresh rate does not justify lower resolutions. For games specifically its fine but for normal computer use I like the higher resolutions, particularly on larger screen sizes. If you're definitely going with a 24" or smaller screen, then 1080p will probably be fine. This build is great, but it burns a lot of money. You shouldn't get the water cooler first. Here's a cheaper version of the PC, it will run just as well, maybe a bit slower, but you will barely feel a difference. https://ca.pcpartpicker.com/guide/VKbtt6/intel-core-i5-6600k-rx-480-16-gb-ddr4-1tb60gb-sshd-best-possible-gaming-desktop-under-1k-cad-or-750-usd-overclockable Before, you check out the link, keep in mind that it is just a desktop, no windows, no monitor, etc, but this way you can add them in and stay under about 1k USD and 1200 CAD. I wouldn't suggest ANY of the changes you did. Cooling on Water>Air. All day, any day and particularly for OCing. 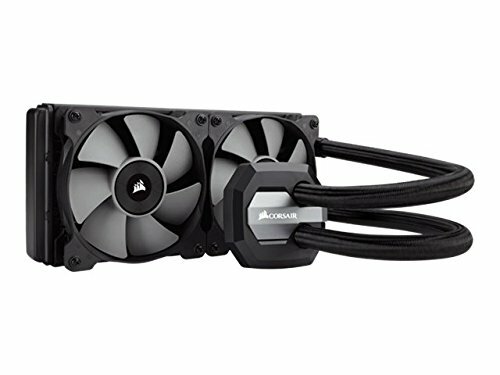 While I do agree there are some better cooling solutions, particularly for the price, most of what I would suggest are different AIO water-cooling ones. The 480GB SSD is plenty as far as 2.5" SSD's. If anything the only thing I see wrong in storage is that this build doesn't include an nvme M.2 boot drive of any kind. I kind of agree with you about the PSU but I would go with a fully modular one as well. "Faster" RAM is pointless. Whats wrong with the Crosair Carbide 400C? I think it looks like a great case. I said about the cheaper air cooler for money saving reasons, and I even said it'll perform worse, as well as the choice not being inherently bad, just more expensive. Can also always upgrade later. I was saying to get just an SSD, skipping out on HDD. An M.2 SSD would also be a good idea, but again the choice here isn't inherently bad, I just think a single about 1 TB SSD would be better then a 480 GB SSD and 3 TB HDD. The PSU I said about was the G2, costing $40 more and is fully modular. Faster ram is probably pointless, and the case is fine, I just said those would be "personal" changes that I'd probably do, maybe not in the case part but that's cause I'd research what I think would be the best case for me. Most people fill a 1TB drive pretty quickly and having all of that storage in an SSD at this price range is overkill. (Not the best dollar for dollar expenditure.) Besides, its always better to have your OS on a completely separate drive for failure security. Partitions are only so good. While the 480gb ssd would get MOST of the important things on it, the HDD would be great for non-essentials and less speed needy items. 3TB might have been a little overkill but the 2-3TB HDD's are kind of the sweet spot for pricing right now. 2TB versions were down around $50 during Christmas. Agree to disagree... its cool. I thought 1 TB at this current point in time was the storage amount that most people are perfectly fine with, not filling it up too quick... And if they need more storage, they can add more later pretty cheaply with an HDD. Besides, its always better to have your OS on a completely separate drive for failure security. Partitions are only so good. While the 480gb ssd would get MOST of the important things on it, the HDD would be great for non-essentials and less speed needy items. 3TB might have been a little overkill but the 2-3TB HDD's are kind of the sweet spot for pricing right now. 2TB versions were down around $50 during Christmas. Agree to disagree... its cool. This is indeed true, I won't say that it isn't. alright, thanks for the info, duly noted. I'm gonna be honest... I really don't like a couple choices you made to be able to fit said monitor and G502. Before I say the bad choices though, I may as well help and let you know some of your good choices, butter you up a bit. The CPU is newer and better, if only a little bit, and is similarly priced to what's on here, good on ya' for changing that. The case cheapening and storage decreasing for a price decrease are also good ideas, 1 TB is quite a bit and 120 GB's of SSD is small, and I sort of don't like the SSD in particular for some reason, but definitely enough for the OS and a AAA game or two, or quite a few indie's, and the case is also a really good one, and being cheaper is perfectly great at the price it's at. The slightly cheaper GPU is also nice. Ram is also just ram, so while I don't like the design of that ram it's a nice choice. And to the bad. Really, at first glance I thought your choices were worse then they actually are, but really it's only 3 things that are bad choices to me. Those choices being the motherboard, power supply, and cooler. The power supply isn't the worst unit ever, but it's not great. I believe, could be wrong, it's a tier 3 on tomshardware's PSU tier list, which is not too good. I'd definitely spend an extra $20 and get a 650W G2 over it, and I'd also suggest going with the 550W G2 over it if you can't spend the extra $20 there. The motherboard choice... Makes your CPU choice pointless, I believe. It can't overclock(unless I'm mistaken and B150/B250 boards can overclock), which makes the use of a K processor, which is made to be overclocked, pointless. You may as well go with a 7500 and no cooler with the use it'll do ya'. Either spend an extra $30-40 and get a Z270, like the MSI Z270-A Pro, or go down in CPU to a 7500-7600 and skip out on CPU cooler. The cooler choice isn't exactly a big deal, really it's only a half a problem, but I still don't like it. The Hyper 212 EVO is pointlessly popular at this point in time. The Cryorig H7 is priced the same, performs slightly better, is slightly smaller, has a better design, and should be easier to install. There is literally no reason to get the 212 EVO, unless at the time it's like, $5 less, and even then not so much in my opinion, which currently they are the exact same price. So basically... Skip out on the mouse for now, use whatever mouse you're currently using and do these changes. Or you can pony up an extra $60 or so and be happier with yourself for making better choices. Mind linking the build list for the changes, because otherwise I can't tell you anything about how good it is. I'm looking to build a similar computer, in fact almost identical. However, the main difference is I chose an Asus Z170-A. Could you explain the difference between my choice and yours? There's really not much of a difference. The Asus board looks like it has a DisplayPort on it, while the Gigabyte doesn't, but if you're getting a graphics card that literally doesn't matter. The RAM specifications are basically the same. The Gigabyte board has 2 PCI slots, while the Asus has zero. PCI is an older connection format and anything new you buy will be PCIe instead, so unless you're adding in old components, you don't need the PCI slots. The asus board has an M.2 slot that specifically says it can run on PCIe connection or SATA. PCIe is faster and newer M.2 drives should use this to get the most benefit. 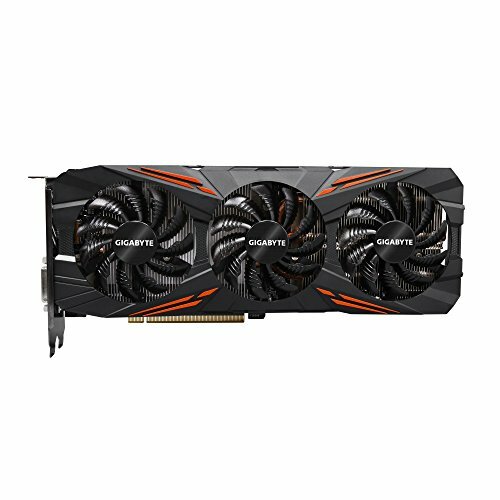 The Gigabyte Board doesn't specify (on Newegg) if it's PCIe or SATA. The Asus board uses ALC892 while the gigabyte is ALC1150, but you probably wouldn't notice a difference in sound quality. The Asus board seems to have more internal Fan headers, but these things are often less specified on Newegg, so you should look at images of the boards to verify. Same here, what's the difference? Had the same exact question, thank you so much for your thorough explanation, now I can't wait to receive my parts even more... some time this week they say! Have a great new year harr1847! Really nice build. I was wondering if you wanted to get this effectively sound-proofed, would you go for a different case, like the Fractal Design Define R5? I'll leave a comment on your build's comment area. This computer has served me well for past few years but now is very outdated and struggles to run some games can u let me know how much better this new build would be and weather its worth upgrading everything. Thanks. Agreed. There isn't a huge performance gap between the RX470 and 480. As someone else said that is still a great computer, just the GPU needs an upgrade. 1070/1080 is what I'd recommend if you can afford, and with those you'd be good to go for a long while longer. I was looking to make the build you did about 2 months ago till i saw this one and wanted to know a couple of things. First off are there any major changes between this one and the one that has the build video and secondly is there a reason why you decided to change the parts for the other build. I only say this because i am a tad inexperienced when it comes to building computers but it no long goes with the build guide that pc part picker hard done for that build. If the parts are the same but now have a different color thats cool i just dont remember the original parts off the top of my head. I must admit i liked the color scheme to the build before hand with the black and red. Also i wanted to know if putting a Intel Core i7-6700K 4.0GHz Quad-Core Processor would be ok instead of the i5. Hi i want to build something close to this but since i want this worth and last me years i did make a few upgrades mind checking it out and seeing it this build works ? https://pcpartpicker.com/list/WBCC4C please i do need an approval from someone who knows alot it would mean a lot thank you! Cpu cooler not good, ram speed too. As far as ram speeds go, its not the mhz that concerns me, its the generation (or whatever you call it). You listed DDR3 ram. I thought skylake only accepted DDR4. Guess i was wrong. The ram price is terrible, this ram is slow compared to modern DDR4 ram, and 16gb might he overkill at this moment. Nah nah im wrong i didn't check the mobo 1600mhz will do the job. For fan i saw wrong. What's wrong with that cooler? Could you suggest something else? Do you own any of the parts in that partlist already? You have a 6700K and a cooler with good thermal performance yet you have a motherboard that doesn't support overclocking. Replace it with a Z170 motherboard such as the MSI Z170A KRAIT GAMING 3X, which is a good deal right now. If you aren't planning on overclocking you needn't spend so much on a CPU cooler and could downgrade the CPU depending on your performance expectations. If you are, you still can spend less on the cooler - Skylake CPUs aren't real power hungry. You chose DDR3 and a motherboard that supports it, and not DDR4. Unless you already own that RAM, switch out the motherboard (like what I suggested above) to one that supports DDR4 and to DDR4 RAM. DDR3-supporting LGA 1151 motherboards typically come at a price premium, and that one is no exception. There's also the possibility of slight framerate losses in some games from the slower RAM. An 850W PSU isn't necessary for that build even if you were to SLI the 1070 (which that motherboard doesn't support). Even a quality 550W PSU like the Corsair RM550x, EVGA G2 550W, Rosewill Quark 550W, and SeaSonic G 550W (in that order, best to worst) would be more than sufficient to power the build for years. There's some good value decent 650W ones that are a bit cheaper and would assuredly let you SLI still. $150 cheaper, comes with a black and white color scheme, and has SLI and CPU overclocking support. It should also be quieter. Wow you know your stuff! Well for the psu if im planning on hooking multiple monitors up wont i need a heftier psu idk i thought that was the case thus the 850w one. The amount of monitors you are using won't affect your PSU choice. You plug them into a regular outlet like you would a lamp. Using multiple monitors will slightly increase the power draw of your GPU (not enough to require a higher power PSU in this PC or most for that matter), nothing more. What budget were you shooting for? and also do you want a color scheme that matches?? I would also get a different motherboard. Not much point in getting the 6700K if you aren't going to get a motherboard that is overclockable. You should look at Z-170 or now Z-270 motherboards. I believe all of them also take DDR4 which Xorex64 mentioned. Why don't you add the operating system. This will bring up any build by 90 bucks. Because if you have a USB drive and access to a computer with internet you don't need it. You're paying $90-120(you're technically supposed to buy a retail copy) to remove a watermark and unlock the "personalize" section of Windows settings. If you don't activate Windows, Microsoft doesn't really care. Believe me, I regret every penny spent on that stupid product key. 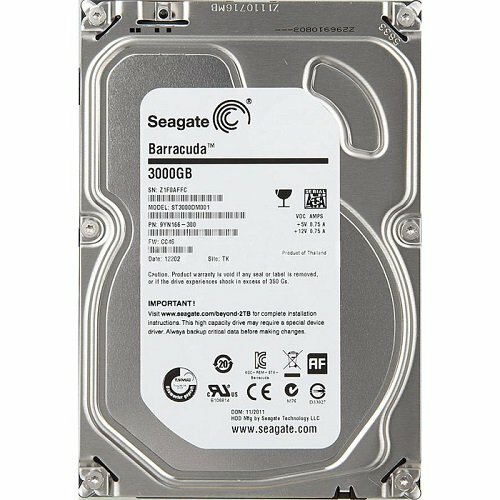 I have been looking into building a computer for awhile now and ive got about 1250 for the pc itself. I used this as a guide, what do you think? https://pcpartpicker.com/list/RgHxTH Anything you would recommend adding or changing? Edit: Going for a black build with blue accents and leds as you may notice with the fans. I would honestly get a Cryorig H7 instead of the liquid cooler, it's a damn good cooler and you'll still be able to OC plenty(plus, it can't ever leak no matter what). I'd also spend $15-20 more on double the SSD storage, you'll love the load times in the games you put on it. 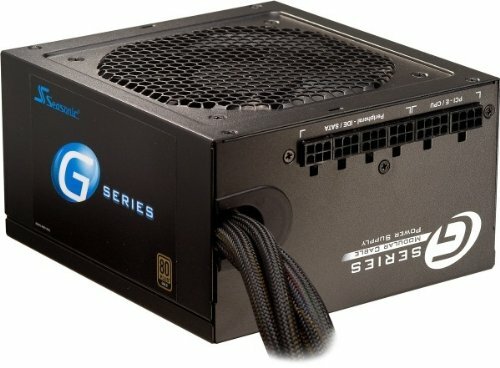 I also prefer Seasonic G series over that model of EVGA PSU(better internal components and efficiency for only a few dollars more, google Jonny Guru's reviews of the two). You should ditch the regular s340 for the elite version, you will love the massive tempered glass. Try to squeeze a 1070 into your budget if you're interested in running 1080/144fps at high detail on most games. I have almost the same exact build as you listed, you will not be disappointed. will take into consideration, thanks! will look into it, thanks! I'll give you props, it's a decent Gaming build. I wouldn't go so far to call it excellent. Fair enough, as long as you are getting what you want out of it, but one of my builds has a NVIDIA GTX 1070 and a 6700K and I wouldn't call it excellent (it's definitely not the top tier of computers). I'm personally looking forward to the NVIDIA 20 series that should be coming out this year. Well when you compare it to enthusiast level hardware, no, but in comparison to a typical PC found in homes? Oh yeah, definitely excellent. I'm sure you can , I'd like to know what programs you'd be running since some rendering programs are better with more physical cores in the processor and could also possibly use a tad more ram. I am commenting so I can look in my comment history and check out this build later. Any recommendations on a monitor for this PC? I wanted to know what range of monitors wouldn't be overkill or else depreciate the components' worth, and to compare compare prices between cheaper monitors and more reliable monitors. I'm currently not planning on overclocking. Thanks! Can i stream games with this build? Hey im a noob at this and i was wondering if it is possible to have like 4 or 5 usb ports on this pc. And i would like to know if this pc could play games while i record the gameplay with shadow play or OBS? I followed almost exactly the build, except the power supply. I bought corsair cs650M. I am wondering if there is any compatibility issues with the rest of the build. Thanks! I am also concerned if the power supply can fit in the corsair 400c case. Hi guys, I would love to build a PC like this but my budget is around $300 (£250) less than this, I was wondering if there are any cuts I could make to this which wouldn't affect the performance too much? I mean for a start I think I wouldn't need a 3TB drive so I could cut that down, any ideas? -Get cryorig H7 air cooler for 50$ less with amazing performance. -search in the website for Asus Z170 and choose the cheapest if you found one (Asus Z170 is still the cheapest for me ) but know that specs may vary slightly. -Do the same for GTX 1070 . I have found one cheaper by 20$ (But I got founders edition still for 10$less than the one listed in this guide). -Do the same for the Ram but research too. -If you are really on a budget you can start with 1 tb HDD or even use old one if you have then move the OS when you buy an SDD (the procedure is a bit hard but you can do it). Also you can start with a 100 or 200 gb SDD only and upgrade later. -I think we shouldn't try to mess with PSU and you still need some future proofing. -I know you are trying to save money but if you're building an excellent pc these days you should get kabylake i5-7600k rather than i5-6600k because it is 7th gen better performance CPU that cost only 9$ more ! Here is my build after following the tips I managed to get everything including a 144hz monitor for 1270USD! Correct me if I am wrong. Hi dude, I got all my parts for around the same, went for a Sythe FUMA and a G1 1070 and it worked out really nice, still kept the same case and it looks great! Thanks for the advice too! Is there a reason to get both the SSD and the 3TB HD? Looking at this build and wondering if I can get away with just the SSD. Storage needs are different for everyone. If the SSD alone is enough, go for it. Please don't share personal information. We have no way of verifying if it is your email address. And i'm also thinking about OCing, i'll get a better cooler when I have the money. See my post above with cheaper and better parts. You need to get 7600k for a few more dollars. Use the better air cooler at the same price (cryorig H7). You should double that ram and make it faster for 15$ more. And get the cheaper 1070 founders edition for 140$ LESS! You can either let somebody do the updating or just upgrade the MOBO to z270 but I am not sure. I upgraded. I'll be posting my completed build in a day or to. Do you when where I go to to run bench mark aka stress test? Also is there a app or program that keeps track fps and temp during game play? Another noob here.......... My budget is short of 1300 by a few hun to say the least. And I don't really plan on overclocking. I do like the idea of using SLI or crossfire feature on the MB in the future. As of now I don't really use to much storage space for the games I currently play. My goals are being able to play 1440p with a 144hz 20(ish) in. monitor, 1080p will do 1440 sounds nicer. So here's my idea.... If I switched out the CPU for an i5-6500 3.2 which comes with its own cooler, took out the HD cause I can add it in a month or 2, got the cheapest case cause I don't care if the out side looks good and maybe found a GPU in the 2 hun range I am more flexible on that. would all this even be worth it or any ideas would be nice. I'd like to spend around 8 or 9 to start and in the next few months I can always go bigger. So any help would be nice thanks. I am planning to build this gaming PC, my question is what monitor should I buy that woudl work with the graphics card well? https://pcpartpicker.com/list/J9nzCy I have never built a PC before but am in dire need of doing so. This summer I am planning on it so until then, I'm basically just learning about it all and trying to find the best for the cheapest (under $1500). Can anyone give me any tips on this build, if I should change anything or if I am paying for something that isn't entirely necessary? Do I NEED two case fans for intake? It's $1350+ because of the Asus monitor, the mouse and keyboard added in the build just for pricing purposes. Thank you! https://pcpartpicker.com/list/ this is my final edit to this build. Could anyone tell me why most people have the i5-6600k 3.5gGHz processor rather than going with the i5-7600 3.8? They are extremely close to the same price yet ive never seen the 7600 in a build guide. We are in the process of updating the guides for Kaby lake. If you're going to spend $100 on a cooler and the $400 on a 1070, you might as well get the i7 6700k, much faster for not too much more. If I wanted to substitute the i5 for an i7 would that work? I'm not to keen on overclocking. I don't know why but the MSI GTX 1070 Aero is so much cheaper than all the other 1070 cards. Maybe it is slower or cannot be overclocked? Bit...frivolous. Ditch that watercooler for one, probably the most pointless $100 you could possibly spend on an i5 build. Cut back on storage, since it's probably the easiest thing to upgrade later and you're probably not going to need 3TB + the extra 240GB of SSD space up front. I personally wouldn't spend that much on a case either considering the sweet spot for cases is between $60-$80. Et voila, you have enough for a GTX 1080 and have money to spare. It might be a good idea to go with a name brand power supply. I am just worried that 2 years later the thing blows out and takes the rest of the system with it. Besides that, great build. Why isn't my build guide showing up in the build guides ? Only staff guides are publicly indexed now. oh ok. if you don't mind me asking, why ? i made a bild and i was wondering if it is good and if everything is fully compatible. I might be in the wrong here, but the only big difference between the aforementioned i5-6600k and its bigger brother, i7 6700k is the capability in multithreading. Unless you are doing some professional and fancy video editing, you shouldn't need the i7. Of course, there is also the increased cache, but you won't notice a difference in that regard. Although I agree this is mostly true, there are some games out now that utilize all available threads/cores. Its not as common, but I would suggest looking at exactly what games you want to play most, determine whether they actually utilize more than 4 threads/cores and then decide from there if you want an i7 or an i5. there are also games that decrease in performance due to the increase. yea weird but true and they are the majority so I'd really look into it. Ah ok thanks. I saw this on a video that i5 didn't perform as well but lasted longer.